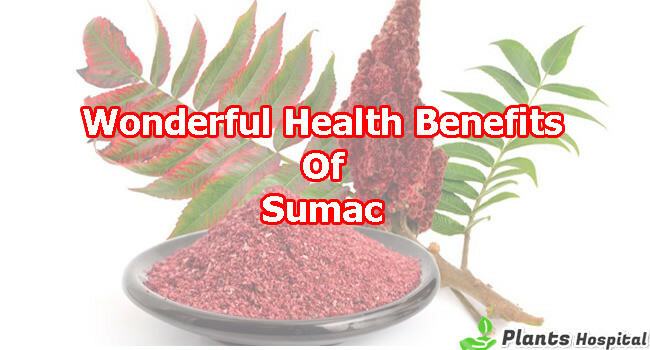 What Are The Benefits Of Sumac Plant? The root of the Sumac is rhus plant. The fruit of the sumac plant obtained from the rhus plant is dried and ground. Sumac, especially to give a taste of sour or lemonade to the meat dishes of ebze is used extra. Given the plants used frequently in food, sumac is used more rarely than others. Because, usually, the food is not liked to taste lemonade or anonym. But the fruit of the sumac plant is very popular especially in North America. It is harvested for excellent sour taste along with its health benefits. Sumac bushes grown and used in many parts of the world, especially in the Middle East, North America and Africa are grown in large areas. Red, greenish or cream-colored sumac plants dry over time and become dark red, purple core clusters. Sumac has acquired a large place in Turkish, Arab and Middle Eastern cuisine. In particular, the Turkish taste of the Sumac Plant, North America’s natives in hot or cold syrup and tea prepared and used to consume. Sumac has powerful antioxidants that fight against bad cells that damage healthy cells. According to a 2004 scientific study, antioxidants fight against bad cells responsible for heart diseases, premature aging, stomach disorders, and many other adverse events. As a result of another scientific research, it has emerged that the sumac has an effective antifungal effect. Sumac is able to fight against Aspergillus flavus ( the most effective harmful cell), especially a human pathogen. Aspergillus flavus can cause lung infection and shortness of breath. This infection can affect many organs in the body, including the lungs, heart, kidneys and brain. Chest pain, fever and joint pain are the most common symptoms of fungal infections. Sumac is an antimicrobial plant, according to a study conducted at Haccettepe University in Turkey in 2010. Sumac plant is said to be used as a serious defense against the micronutrient, especially salmonella typhimurium. This is a very effective weapon against germs when it is used as a mixture of sumac and thyme oil together. Studies have shown that sumac plant is effective in the treatment of diabetes and obesity. According to laboratory results, sumac, a very powerful antioxidant, helps to reduce cholesterol and blood sugar levels. The sumac has diuretic properties. Therefore, it has been observed that it is a herb that helps in the removal of toxic substances from the body. Some studies have shown that sumac plant has anti-cancer properties. If you are a smoker, you may be able to reduce your risk of developing lung cancer by using a combination of chemotherapy and radiation therapy. It is believed that breast cancer protects healthy cells during treatment. As a result, sumac has been regarded as a promising chemotherapeutic agent for cancer chemotherapy. Sumac juice, sumac tea, sumac bark is traditionally used to treat women’s diseases. Sumac is also applied externally in extreme vaginal discharge. In addition, the mother’s milk also increases. It helps treat menstrual disorders, cramps, menstrual burns and pain by acting like estrogen. What Are The Benefits Of Sumac Sour? As a powerful antioxidant is used. Sumac sour lowers bad cholesterol levels. Helps to fight early aging and disease. Type 2 is useful for diabetes. Lowers blood sugar levels and improves glycemic control. It has both antibacterial and antimicrobial properties. Helps to treat joint diseases. Diarrhea, bleeding, colds, sore throat and tuberculosis fight against. Helps to treat asthma, ulcers and osteoporosis. Good for eye health, ear health and heart health. Sumac Tea is very easily prepared and healthy tea. Sumac tea, which has its own beautiful red color, can be prepared with ice and cold tea. When mixed with lemonade, it becomes an excellent source of vitamin C and increases body resistance. * Sumac Tea is vitamin C depot. Therefore, it is good for winter sickness such as colds and flu. * Used as a fire reduction. * Sumac Tea is considered to be a mixture for asthma, shortness of breath, diarrhea, cough, sore throat, infections. There is not enough information about whether the sumac is completely safe for everyone. For this reason, you should consult your doctor before using the plant sumac. It can also cause skin reactions when applied to the skin. Pregnancy And Lactation: there is not enough information that the sumac plant is completely safe during pregnancy and lactation. Therefore, it is useful to stay away from consumption to stay on the safe side. 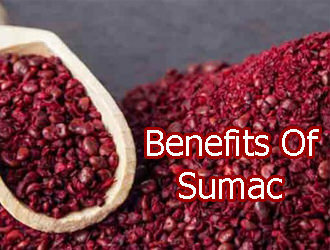 Sumac has been used mainly in traditional and folk medicine. Therefore, there is no study to determine a strictly recommended standard dose of this plant. Fruit of sumac plant is usually prepared and consumed as tea with boiling water. What Are The Benefits Of Pumpkin Seeds Skin? Hi I live in American Samoa a U S Territoryin the South Pacifi Ocean. Read with much interest about the Health benefits of these herbs Sumac and BlackBerry. Thanks for posting and I want to know more and how access these useful herbs or products produced from them.